Smartphones have become an inseparable part of our daily lives. Waking up with a morning alarm, using Whatsapp, listening to music, reading news, watching YouTube videos, checking mail, updating project statuses, and so on — everything is seamlessly executed from our mobile devices. Currently, over 2.1 billion people worldwide own a smartphone. The golf club industry needs to wake up to this fact because it is not a trend that can be ignored or conveniently swept under the rug. This is no doomsday forecast. It is a simple statement of fact. This is 2017. The age of the connected generation and if your club’s thinking is still stuck in 2010 you might as well light your clubhouse with candles! The mobile phone is now king and just last year a Google and TNS study discovered apps are the driving force of the mobile phone experience, which is the very reason that all smart, savvy club general managers should stop and take note. It isn’t enough for clubs to just have a great looking website and a social feed; clubs need to focus upon engagement both on and off the course to ensure retention, increased spend per golfer and to attract the younger generation. Smart apps are the perfect tool. The “there-is-an-app-for-that” moment has gone several years ago, the focus from novelty has shifted to innovation and long-term profitability – smart club apps are about improvement, driving additional revenues, communicating effectively and cutting costs. Apps are extremely flexible business tools and the very first thing a club general manager needs to decide upon are features and functions. It has to be a win-win for both the club and its targeted audience to ensure maximum downloads and return-on-investment (ROI). This is many golfers’ number one reason for downloading the app, enhancing their gaming, keeping track of, and help lower their scores. An easy, convenient way for your members and guests to remotely book your course, hotel, spa or restaurant. Having instant access also encourages “in the moment” booking, for example after a round with friends they can book another round together whilst relaxing at the clubhouse. From the latest fixtures to family fun days, up-to-date event sections keeps your resort at the front of their mind, increasing turnout, accessing their own networks and enhancing your club’s image, vibe and income. Your resort is not just the golf course. Ensure you are getting the very maximum return by cross promoting all aspects of your business. Teaming up with a credible sponsor is yet another way your app can give value to your members and generate your club a rolling income. Smart general managers know that every contact with their clientele reflects upon the club, its image and its reputation and nothing can ruin that quicker than a cheap, poorly made app. A good club app will always reside in the smartphone of your members therefore it pays to ensure it looks good and operates smoothly and above all be an excellent reflection of the resort. There are a few apps being offered to clubs out on the market now, all with a different focus and tools for both the resort and golfer. Predominantly these apps are tailored towards data-mining the golfer and not giving a lot back to the club. Business savvy managers know that any business tool which they have very little say in or day-to-day control over will not produce any sustainable form of revenue. At the very minimum, your team will need to be able to use a very quick and easy system to update events, promotions, etc and be able to notify your clientele of these changes via an integrated push notification system, keeping your app current and engaging. 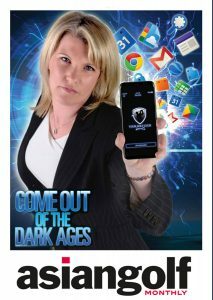 It’s time to blast out of the dark ages and plunge into the world of Smart Apps!